The latest SuMo release promises to turn sales managers into elite sales coaches by providing better insight into performance and automating coaching plans for sales reps.
London, September 20th 2018 - CloudApps, the company helping businesses scale revenue by enhancing sales performance, has announced today the release of its brand new product: People Insight & Coach. The news coincides with Dreamforce, taking place in San Francisco later this month, which will once again be host to the latest innovation from some of the top tech companies in the world. CloudApps joins the fray with its innovative solution set to give Salesforce users better ROI from the famous CRM platform by unlocking the potential of front-line sales managers and improving adoption of the CRM solution - resulting in a spike in sales performance. The latest release has the capability to turn sales managers into elite sales coaches by providing them with a deeper view into their sales team’s performance, arming managers with the technology to offer personalised and targeted 1-on-1 coaching at scale. 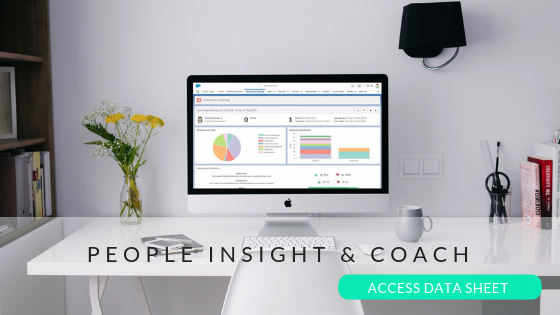 People Insight & Coach provides highly tailored sales coaching based on a data-driven picture of individual people performance against both high-value and less effective sales behaviours. Further than simply looking at the level of activity of each rep to work out the success rate of each individual, SuMo monitors the quality of the sales behaviours exhibited by the team. In this way, it’s able to qualify which activities lead to positive outcomes (high-value) and which careless behaviours need to be corrected. The new tool offers companies of all sizes the ability to define and drive individual Coaching Plans at scale, based on comparison of business behaviours amongst the team through the use of different performance lenses. All this in depth data is then presented through an intuitive and engaging dashboard style interface. The data can be further honed through the use of filter options, to drill down on specific data types and time periods, giving sales managers and reps the ability to view the attainment of important milestones over time. 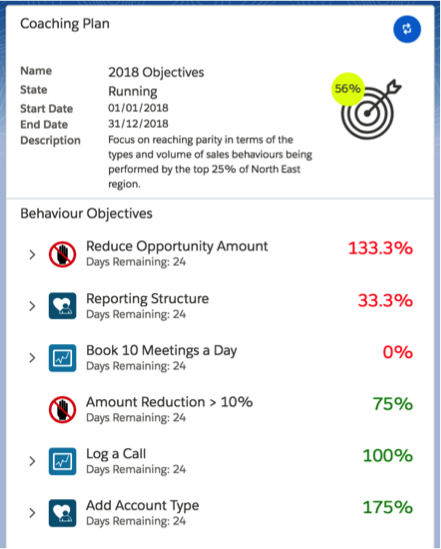 - Behaviour Charts To allow managers to see the distribution of high-value and careless sales behaviours completed across the team and through the sales process. - Performance Indicators An instant view into key information around performance to highlight attainment of leading KPIs and trend data over a rolling period. - Comparisons Learn from your top performers with the brand-new comparison tool. A side-by-side comparison feature to assess how well an individual user is performing in relation to peers and high performers. - Coaching Plans A solution to effectively design, guide and report progress of individuals through their time at the company. This functionality will help guide each rep to meet specific objectives, can facilitate onboarding and training, and reduce risk of attrition. - Ad-Hoc Objectives A checklist designed to track the completion of activities outside of Salesforce. “We are delighted to add this valuable asset to the sales manager’s toolbox. We’ve always believed in finding ways to enhance the sales journey through better understanding of sales behaviours, bringing more clarity and solidity to the sales process. Today, we’re happy to concentrate on the success of not just the rep but also the sales manager. People Insight & Coach helps sales managers get more from their time with the sales team by giving them the ability to have a better informed and honest conversation with each rep.
For sales coaching to be truly effective it requires a high level of detail and a vast amount of time. It is simply not possible for a single sales manager to offer this degree of attention to each member of the team. And definitely not at scale. At least not until now.” said David Kirk, Chief Revenue Officer of CloudApps. The CloudApps team will be available for comment, and to provide more details at Dreamforce User Conference in San Francisco. For live demos, please don’t hesitate to get in touch. We will be launching People Insight & Coach at an exclusive event in the heart of London at the end of November. For a chance to join the guest list, please don't hesitate to get in touch. Founded in 2009, CloudApps increases sales performance by tracking and motivating the high-value “winning” sales behaviours that lead to more closed deals. CloudApps is in use by over 250 customers, including blue-chip organisations globally such as Vodafone, Unilever, Roche and Shell.